Do you like Land Rovers? How about mud? 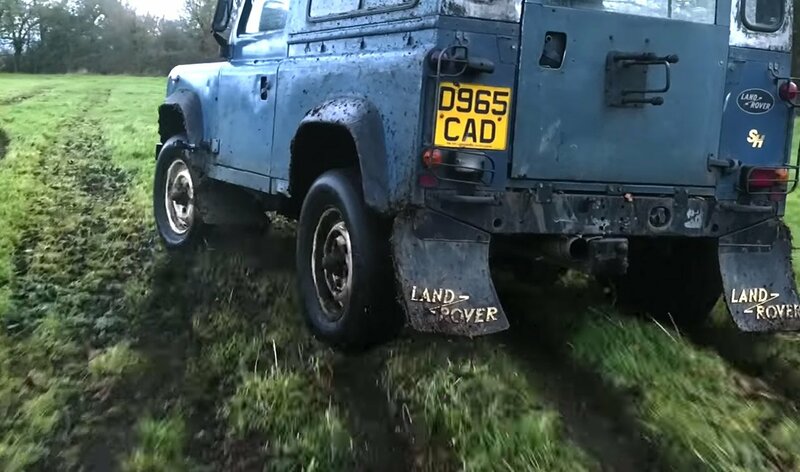 Then tune in and enjoy this fun video featuring a Land Rover Defender 90 ripping through fields and spewing mud everywhere. The clip “Farmkhana: Wild in the Fields” was put together by Club86, who headed to a privately-owned farm in their tricked out turbodiesel 1986 Defender, and proceeded to mash the gas pedal as hard as they could. Along the way, they shredded countless amounts of grass, kicked dirt all over the place, and made some mad mud donuts. It’s well worth a watch if you’re at all a fan of Land Rovers. I love their simple solution to the engine overheating – lose the hood.